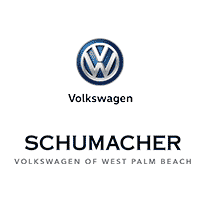 Andre at Schumacher Volkswagen was so pleasant to work with and made our car leasing experience easy and pleasurable. The entire staff was great as well and made us feel comfortable! I would highly recommend their services. This is my first time leasing a car through VW and I could not have asked for a better experience. Andrea and David were very accommodating and helped me find exactly was I was looking for! Highly recommend!